The pictures used in this story are not original, but are typical of the items I grew up using. I was born in the hospital at Madelia, Minnesota in 1942. Our address was a small Scandinavian town, Hanska, Minnesota. There were six children in the family, five boys and one girl. The oldest brother is deceased. The remaining, with the exception of me, are living in Minnesota near the Madelia area. Dad was born in 1898 and died in 1994. Mom was born in 1911 and died in 2000. Dad and Mom farmed in the Madelia area until they retired and move into town in 1968. They lived near LaSalle Minn when I was born and moved to what I consider the home place about 1945. The auto my parents owned when we moved to the to the home place was a 1939 four door Plymouth. The tractor Dad used back during that time was a Farmall F 12. One of My brothers still owns that tractor. Dad also used a team of horses (Babe and Dan) for some tasks around the farm in the late 40s, such as planting corn and mowing hay. The hay was raked into rows with a Side Delivery Rake. After drying it was ready to bale or pick up loose with a hay loader. Sometimes a dump rake was used to rake up cut hay or weeds. When we first moved to the home place, WWII was justing ending and we did not have electricity or runing water. We used a windmill to pump water until we got electricity. We milked cows by lantern until we got electricity. Then we got a Surge milking machine. We seperated the raw milk into cream and skimed milk using a DeLaval seperator. The cream was sold to the local Creamery and the skimed milk was fed to the hogs. Of course milking and cleaning up after the cows were tasks learned by the kids at an early age. The manure spreader more commonly called the Honey wagon was always in use since we had cows, pigs, sheep, ducks, geese, and chickens to clean up after. You learned what a manure fork and scraper were used for early in life. Mom cooked for years with a wood bruning stove. One of the the kid chores after school was to load corn cobs into the wood box so they could be used as fuel in the stove. We got the cobs from the corn sheller after the corn was shelled for the chickens. Dad raised four major crops, oats, corn, soybeans, and hay. Most of the crops were used as feed for livestock and not as a cash crop. The oats were planted with a grain drill. The oats were cut at harvest time with a grain binder which tied it into bundles. The bundles were then shocked by hand so the grain could dry. Eight or nine bundles were used to make shocks. 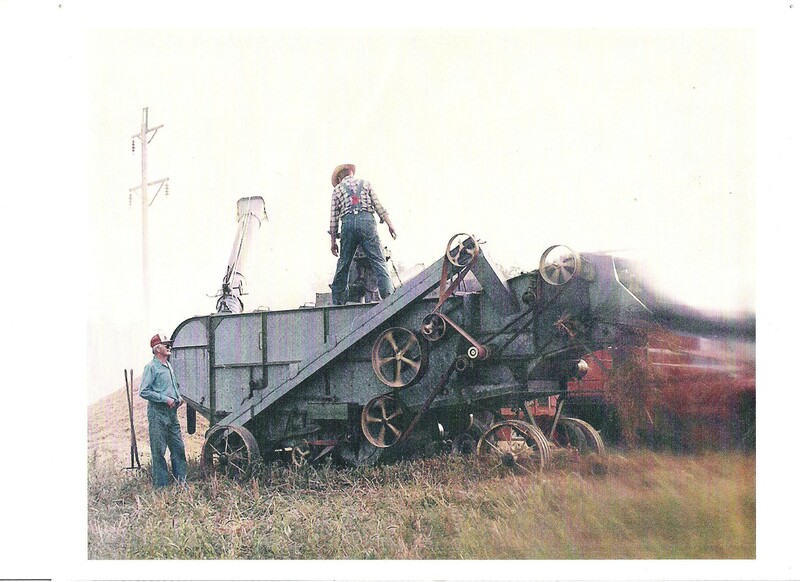 After it had dried it was load onto a horse drawn hayrack(wagon) and transported to the threshing machine(This is an actual picture of my Dad and brother) to seperate the grain from the straw. The straw was used as livestock bedding during the cold Minnesota winters and the grain as feed. The corn was planted with a corn corn planter in a checked formation which formed rows in both directions. The corn was cultivated three or four time during the growing season. In the fall the corn was picked with a single row Wood Bros. corn picker. In 1953 Dad bougth his first and only new tractor, a Farmall Super C. About the same time he sold the horses and comvert the horse drawn equipment to tractor drawn. We used a one cylinder portable John Deer engine to power elevators. 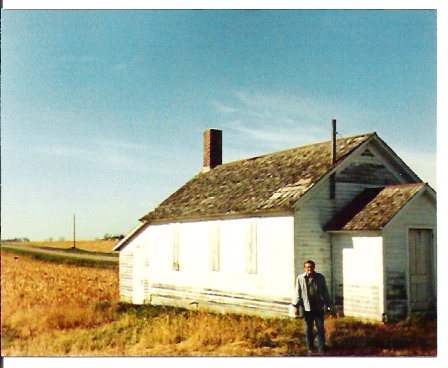 I went to elementry school in a one room country school(Goshen) about two and one half miles from home. The back part of the school was the wood shed. When I started in 1947 it had no electricity or running water. 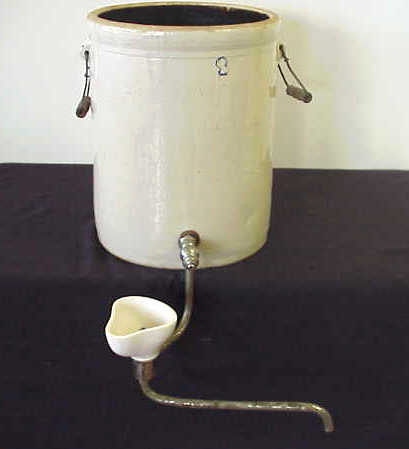 Parents took turns bringing water for a gravity feed drinking fountain on a stand with an overflow bucket. 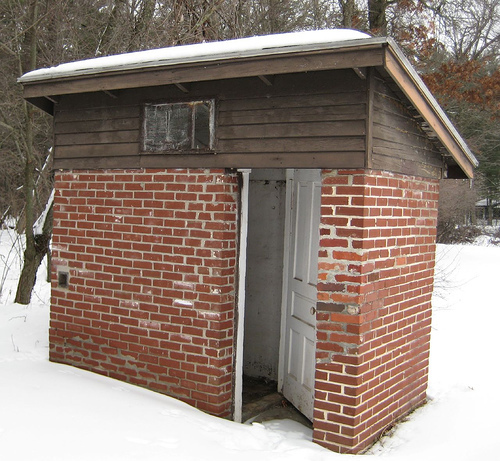 Two brick outhouses were interesting at 20 below zero. It had a big old round stove with a heat jacket that burnt wood and/or coal. There were two in my grade and eight in the entire school from three families. The winter of 1950-51 was very bad. 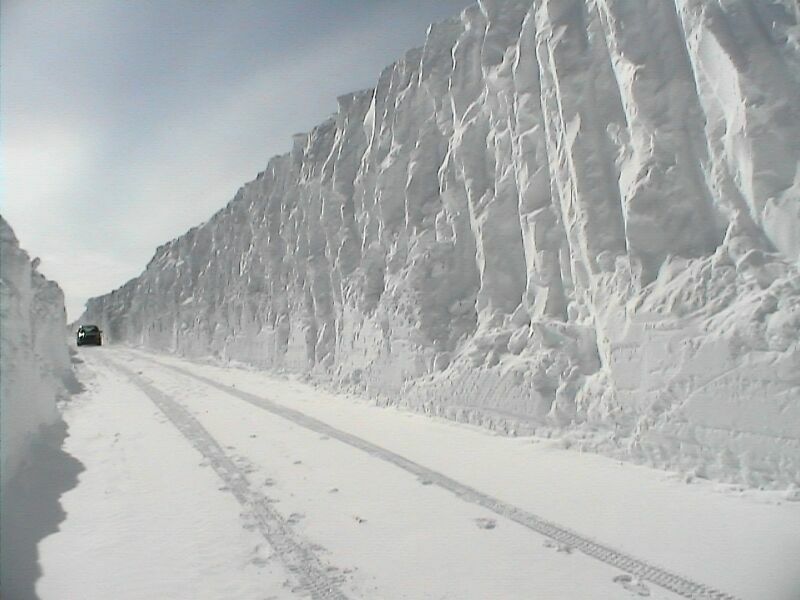 We had so much snow that we could not plow the drive way which was long. Dad took us to school with the horses going across the fields. We had to shovel moots in the snow around the the fences to keep the cattle in the pens. During good weather we rode bicyles or walked to school. Good weather being above 15 Degrees. On bad days Dad would drive us to school. I bought my first car in 1958. It was a 1951 flat head ford for $450.00. My next car was a 1946 ford coup which I built into a hotrod. I bought my first new car just out of college in 1965. It was a gold Pontiac Catalina 2+2 sport coup with black interior. It was a going machine. While I was in college I had a 1955 2 door hardtop Star Chief Pontiac. My low point in automobles was buying an AMC Gremlin. 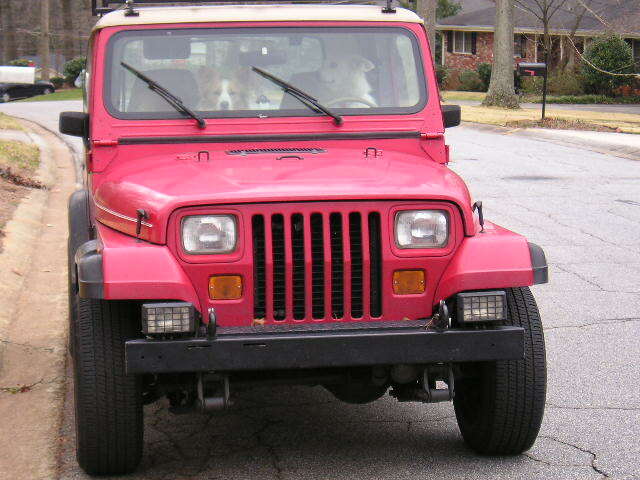 The best was a 1991 Jeep Wrangler that died in 2009 with over 360,000 miles on the orginal engine. I miss that car. Lots of good memories.